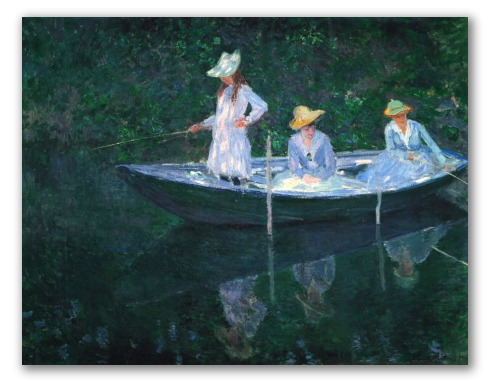 "In the Boat" by Monet, Painting at d'Orsay Museum, Replica. Oil on canvas, painted in 1887 at Norvégienne Bay (French territory in the Indian Ocean) by Claude Monet. 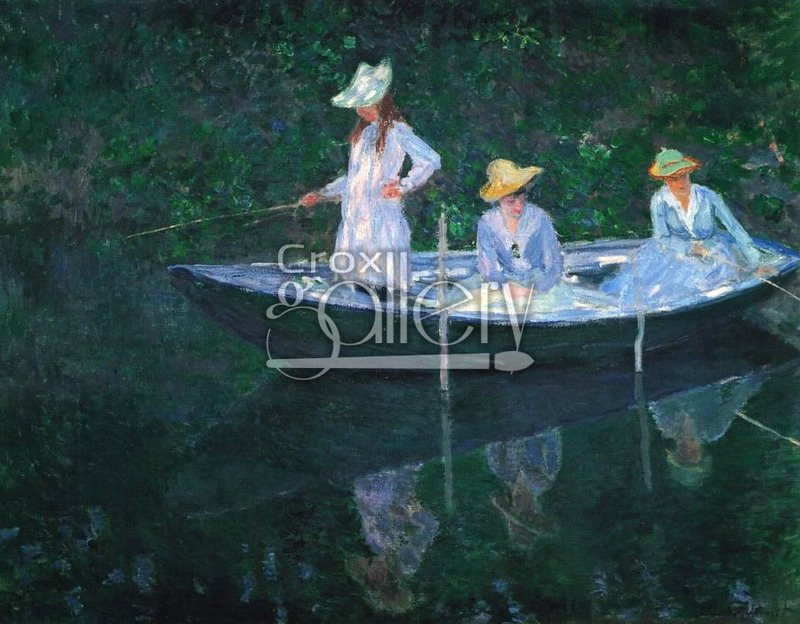 The work can currently be found on exhibit at the Musée d'Orsay, Paris.